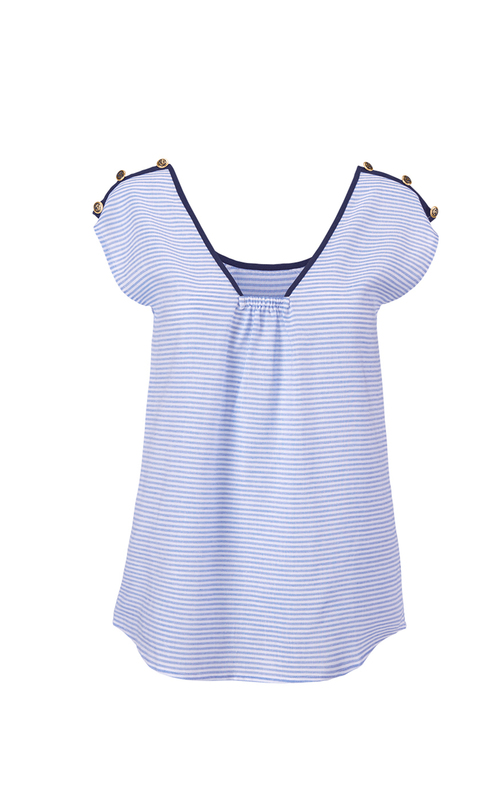 Set sail in the versatile Windward Top that can be worn front-to-back and back-to-front. 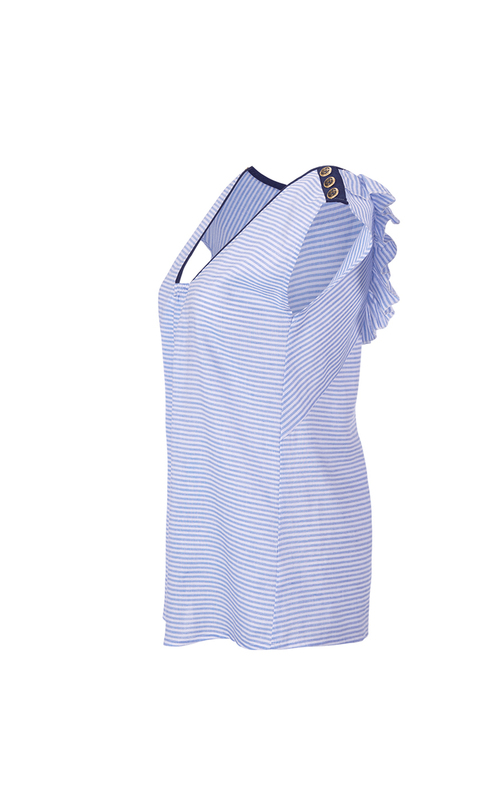 It’s made from a lightweight linen blend with baby blue pinstripes and navy border detailing. The easy-fitting silhouette floats around the body with a deep V-neckline in the front and a scoop neckline in the back with anchor-adorned, gold-finished buttons on the shoulders. 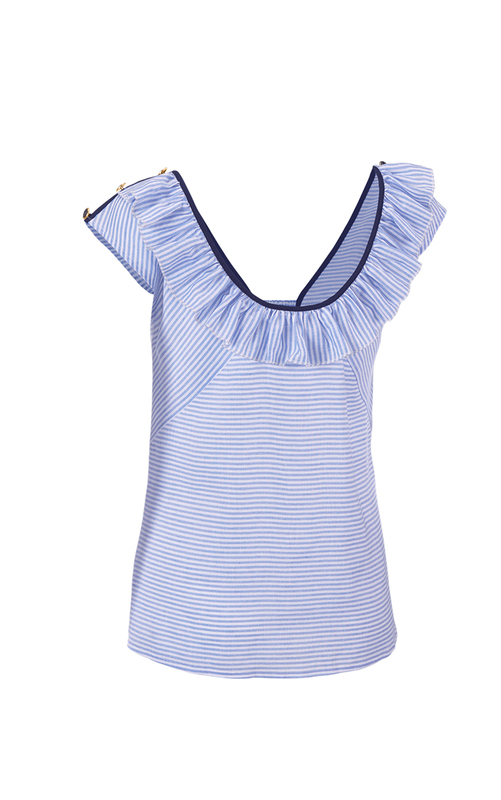 Loving the Windward Top? Share how you’re wearing it on Instagram, and browse through all the inspired ensembles for fresh ideas.